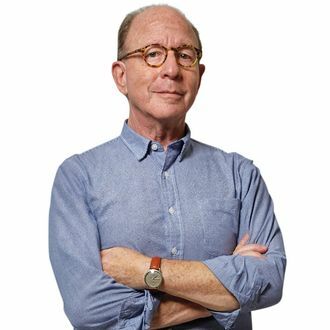 Get your sketch pads: New York Magazine’s own Pulitzer Prize–winning art critic and Instagrammer extraordinaire Jerry Saltz will return to the world of publishing with a new book deal from Riverhead. Back in November, Saltz penned the essay “How to Be an Artist,” which was published in the same issue of New York for which he served as cover star. The piece listed Jerry’s 33 rules for, well, “how to be an artist,” or as he put it, to “at least help you live life a little more creatively.” Now, Saltz will expand his guide into a book of the same title, offering more of his signature advice, insights, and stories. The book is set to hit shelves March 3, 2020, but to hold you over until then, Vulture sat down with Jerry to ask him about the book, his inspirations, and his responsibility to his readers. You’ve been a longtime critic for New York, and you’ve previously published books of collected essays and criticism. What about this specific moment made you decide to jump back into publishing? I want to dive all the way into what I think criticism is, turn it inside out, show people that art isn’t something to be afraid of. That it is a way of thinking, a way of being, a way of knowing yourself, and a way of knowing the world, and that it’s a process. And this first book, How to Be an Artist, is an attempt to sort of radically break that down, as absurd and as impossible as that is, but still to pull back the curtains a little bit on 40 years of what I’ve noticed about the creative process. I also think that the creative process to, say, writing and making art, they can speak to each other. I’ve been told by chefs that it’s a similar language. Doctors have reached out to me saying they, too, are familiar with this state, and these peculiarities of the process. So, I think it’s not a new science — it’s a very old science; it’s probably as old as the caves — and now I’m taking a stab at it. People really connected with your piece, “How to Be an Artist.” You noted in the introduction that people are always asking you for advice, and the Banksy shredding especially raised the question of “What is art?” What were some of your other inspirations for the article? I have no degrees. I, too, know what it means to stand in front of art and not know. I’ve spent a lifetime knowing art, but not having been trained to know it, in developing an acute attention to paying attention. In the end, I’ve learned that you can’t know what a Matisse means any sooner than you can know what an all-white painting means. They’re very similar; no matter how much narrative may be in a painting, narrative is just one aspect of it. I love people like Sister Wendy, Bob Ross, Mister Rogers. I’m very interested that art can be for anyone. It’s just not for everyone, as I wrote. And I really think, and I just want to show that very much, that in the end it’s really all about love. The love of someone wanting to give, and the sort of love of having maybe received it, completed it, and doing something new with the love that was given to you. Even when you hate what you’ve seen. How will this expansion of “How to Be an Artist” be different from your other books? How to Be an Artist is not a series of longer essays or reviews. Each so-called “rule” is very short, and I tried to get at it, get in, get out, illustrate it, explain it in a way that you might be able to hold on to it, and use it as a kind of mini-mantra in your dark nights of the creative soul. That when you’re procrastinating you understand what that process is. When you’re not finishing something, that you address the not finishing. That even bad art is telling you as much, or more, than good art. Not everyone is an artist. But anyone might be able to experience the extraordinary process of thinking creatively, everybody knows that. Our second self, our intuition, our imagination is with us all the time. It’s really who we are. You’re very active on Instagram, and you make a point to engage with your followers and crowdsource with them. How would you describe your relationship with your readers? Ecstatic. Grateful. Lucky. Thrilling. Terrifying. Humbling. I get yelled at every single day of being called by my worst names on social media, and I guess I think two things. That there’s probably a grain of truth to any criticism. That there’s something the author or the artist did or did not do that triggered this misfire. I have learned more from these people than can ever be known. I have learned more from them by many times, much more, than they’ve ever gotten from me. Yes, from participants, commenters. I can live without social media, but right now, I wouldn’t want to. I never see myself as a sage. I see myself as one of us. I am one person, like most people, who loves art, loves looking at it, loves being around it, and wants to plumb its depths, and to experience it more, but I would never say that I know more. I would say I’ve looked at more, and that you can never see enough, and that I’m looking and I’m writing as hard as I can.